I've been reading a cycling safety book from the 70's. 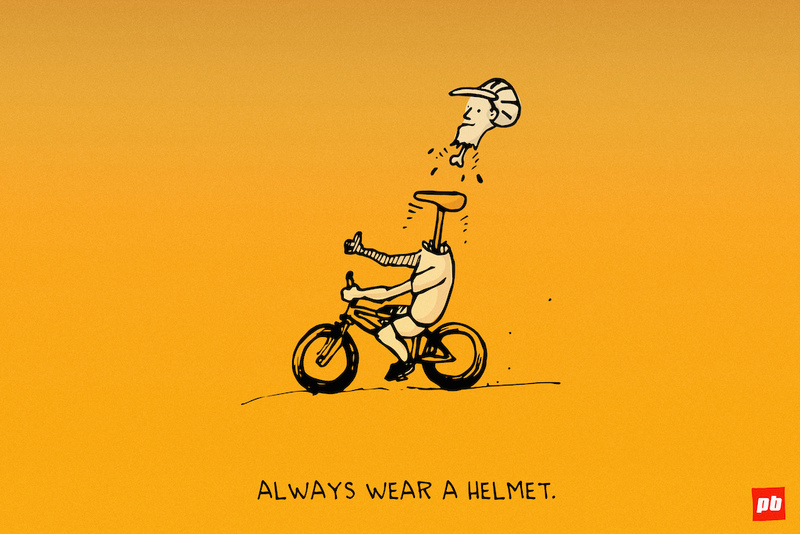 It is full of blatant sexism and nonsensical tips for cyclists. It got me thinking that it might be funny for a future comic to illustrate some direct quotes out of the book. 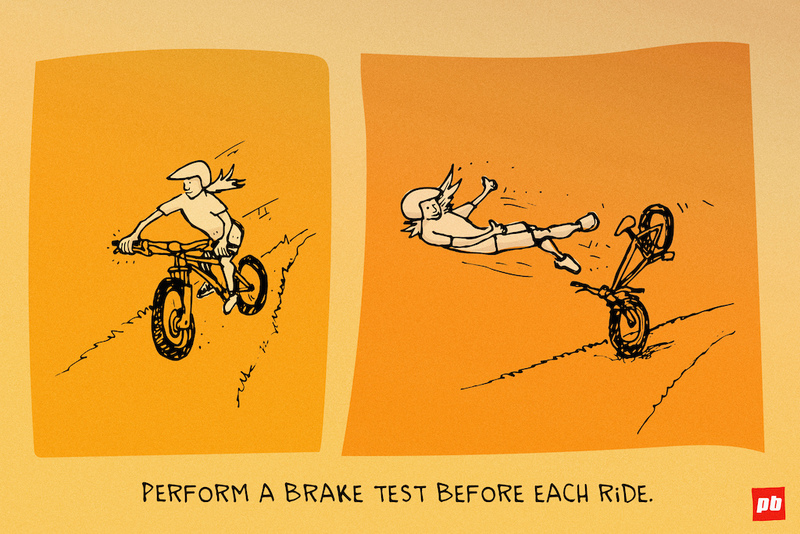 My new version could have a more modern spin on bikes and human beings. In the meantime, I thought I would share some universal safety tips we can all benefit from. I love it! Keep it going! 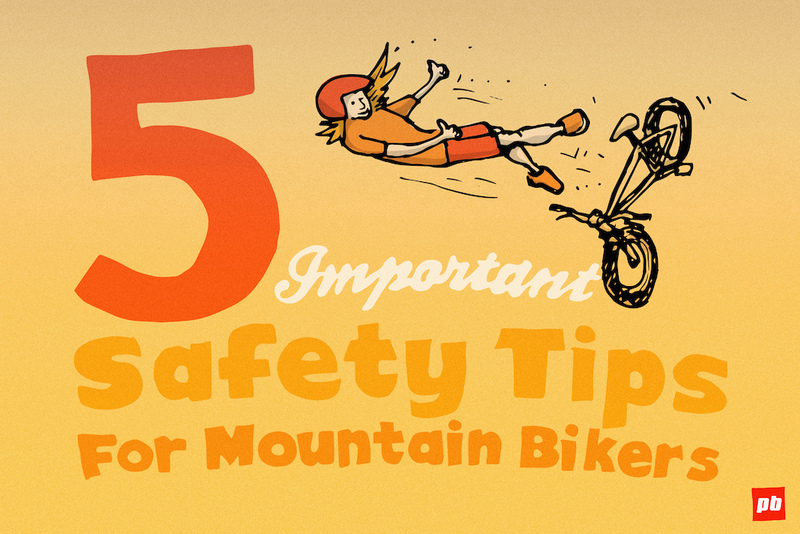 I’m excited to see your illustrations of the outdated crazy 70s era cycling tips. We need more light hearted silly stuff on here. What the heck is the Corgi holding? @bbeak: Isn't that a fox? Where is the dangerous animal identification book? Watch out for the ninja cow! Why six teats on the cow?!? Yup. This on a t-shirt please. @Radley-Shreddington: Wouldn't that be a "dog-a-pult"? @bbeak: if you think a fox is dog mate, then go for it! High five for the helmet follow up. Nicely played referential subtlety. That cow with 6 teats doesn’t need a baseball bat to sketch me out. My father-in-law, first time he ever experienced disc brakes: INSTANTLY over the bar, flat on his back, in the puddle he was trying to avoid. 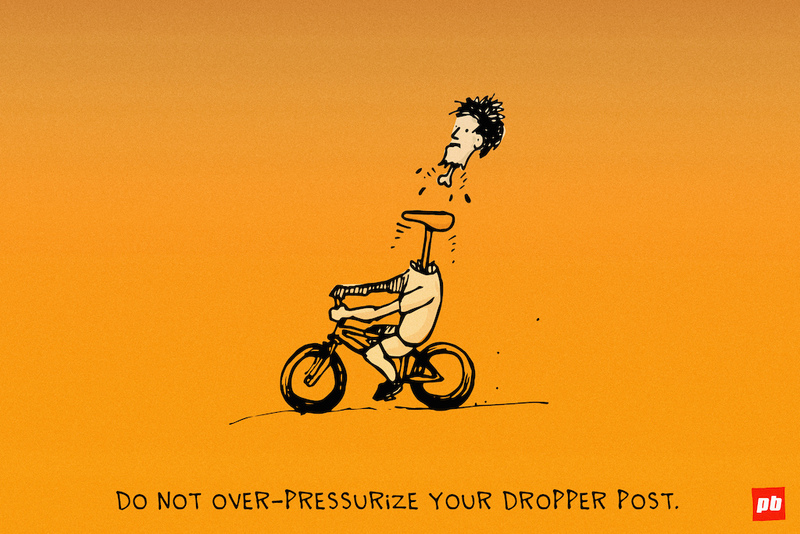 I see someone else has experience with the specialized command dropper post. I just want to know which cycling safety book he is reading. 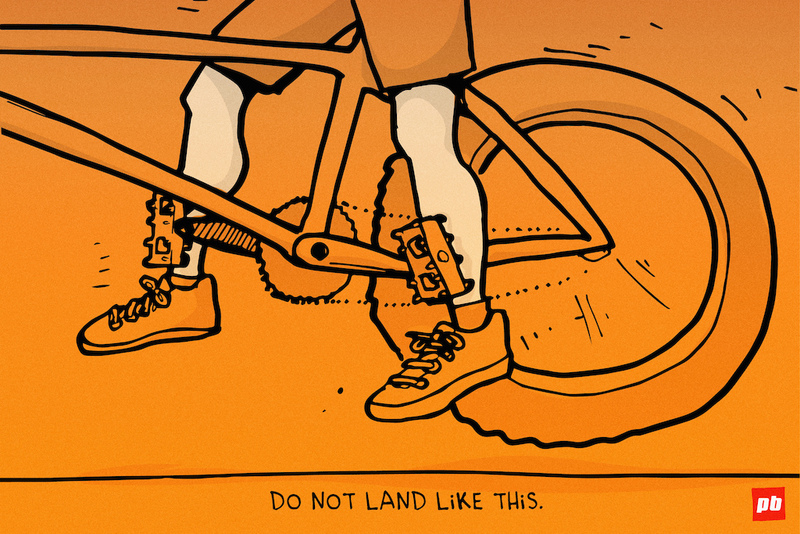 Damn I wish someone told me not to land like that 20 years ago. Has Taj branched out from BMX to MTB? Are we going to see a possible Terrible One enduro bike? If/when it is created, how about Terrible 29? Terrible OneBy? Or maybe travel spec will appear in the name... e.g. Terrible One Sixty. Is that what’s called landing « fully pinned » ? 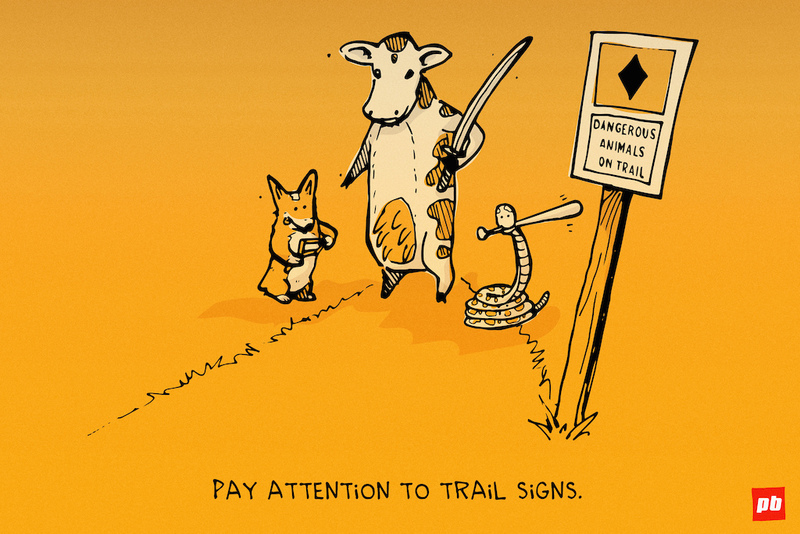 That cow would make for an udderly terrifying trail encounter! The Samurai Cow is amazing! Samourai Alien Cow, with six udders ! Loved these comics. Keep the comics going! Can we get the Oatmeal comic guy to do these? Matt is a genius. We have Taj. We need nothing more. Dude with his head falling off is clearly riding it so it must be out already.